Create Embellish Adore: Sweet Monday! "NEVER BE AFRAID TO TRY SOMETHING NEW! " I used the colors from Colour Q (dated 1/05/2010), as my inspriration. I didn't locate my Orchid Opulence so I swapped out and used Wisteria (new In Color) as well as the Kiwi Kiss - I used Lucky Limeade (also new InColor). Extremely happy with my Birthday card! I hope that you enjoy it too! 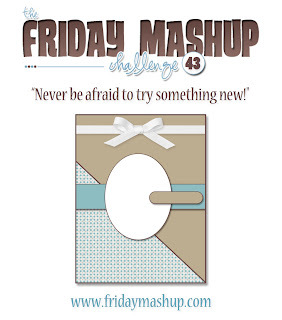 Its still time to play with Friday Mashup HERE..!!! very cute birthday card! 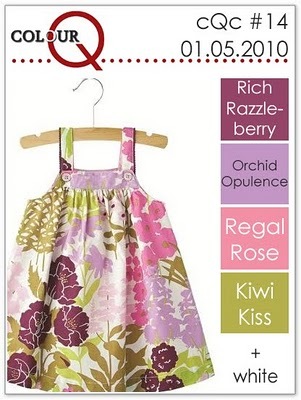 Love that color combo and that little dress on the inspiration piece is so cute. 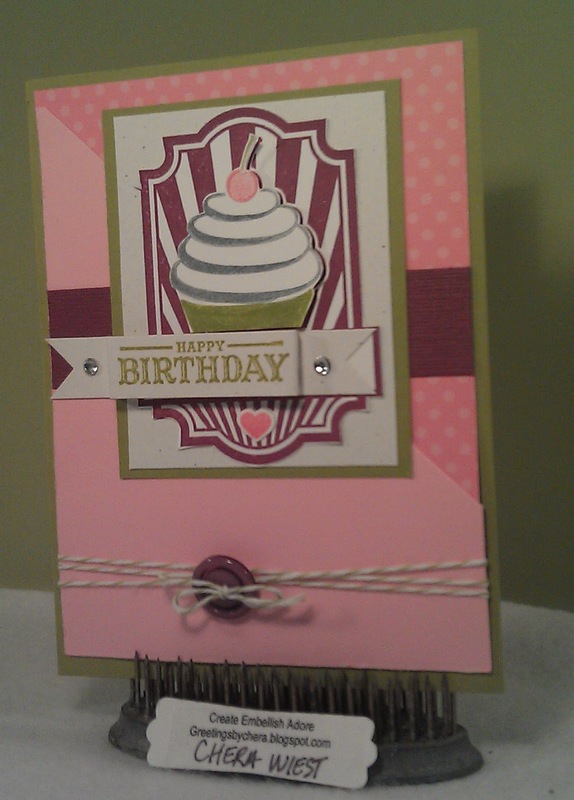 Your card is very cute, that striped background for your cupcake really makes your card pop. Thanks for sharing this pretty card in our challenge. Super CUTE! All of the colors and details are so playful! Thans for joining us at the Friday Mashup! 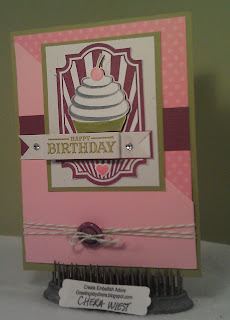 so cute, I luv the color combo, sweet cupcake card... thanks for joining us at the Friday MashUp...have a fabby day! 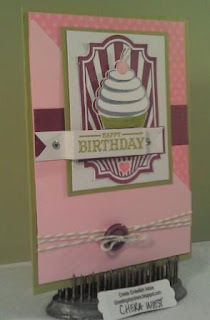 Adorable card, love what you did with the layout and the colors are fabulous.